Don’t you think that mobs like zombies and skeletons being what they are should be easily dismembered and gibbed? Think no more! 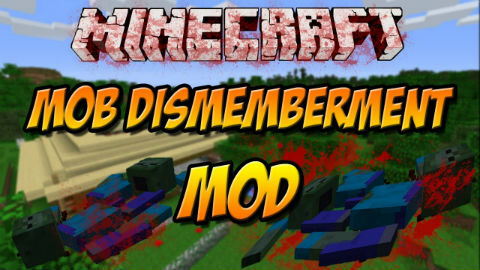 With Mob Dismemberment Mod, some mobs gib whenever they die. Mod is as is, no editing options required! There is also a config file in /config/ to disable or edit blood effects.